The Occupational Safety and Health Administration (OSHA) has scheduled three meetings to discuss the certification requirements for crane operators in the construction industry. These meetings will take place on April 2 and 3, 2013 in Washington, D.C. The goal of these meetings will be to gather feedback on the current regulations from a wide variety of informed technical experts on crane safety and operator certification. OSHA hopes to obtain information to assist them in identifying the benefit of workers being certified to use different types of cranes. They also hope to identify the risks involved with operators being allowed to perform tasks with all cranes within a specific type. 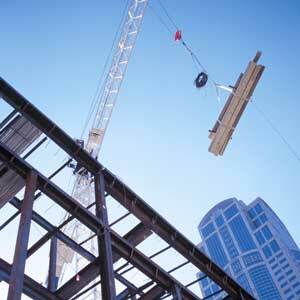 The qualification requirements to be discussed are set forth in the Cranes and Derricks in Construction standard. This standard requires crane operators to be certified by November 2014 and that the issued certification specify the “capacity and type” of cranes the person is certified to operate. Help reduce crane operator injuries by providing appropriate safety supplies, like high visibility safety vests, hard hats, work gloves, and fall protection.